The government sector has a number of critical security concerns and vehicle inspection systems can address those issues. Global politics is a constantly shifting situation—world leaders come and go, the values of countries evolve, and international relations change. One thing that doesn’t change, however, is the fact that just about every political body is in need of some level of security protocols and technologies. Tensions are high and more people are looking into security measures as a result. Vehicle inspection systems are one of the best ways the government sector can adequately protect itself as well as its constituents, so let’s take a look at a few ways they can do so. 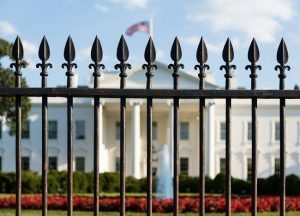 Having more control over who is able to access a government facility is one of the biggest concerns when it comes to security in the government sector. Part of that is streamlining the process of determining whether or not someone has the right credentials to be in a place—something made possible by access control systems. One system that could be massively beneficial is an intelligent driver camera, like Gatekeeper’s Intelligent Vehicle Occupant Detection system, can be used to match real-time facial scans of the occupants of a vehicle against a database and determine whether or not those occupants are where they’re supposed to be. The kinds of attacks that might be carried out against the government tend to be insidious and violent, so it’s important that government sector security professionals are able to quickly read a situation and determine if there is a threat present. When it comes to vehicle inspection and immediate threat detection, there’s nothing better than an Intelligent Vehicle Undercarriage Scanner, which is used to scan the undercarriage of a vehicle, match the image against a database, and determine whether or not there’s some kind of risk present. Being able to track vehicles and keep a database of what vehicle was where and at what time is hugely important to many secure facilities, including government ones. Using a license plate reader, such as Gatekeeper’s Intelligent License Plate Reader system, allows for easy automated reading of license plates and makes that data usable and searchable. This entry was posted on Friday, November 16th, 2018 at 10:53 am. Both comments and pings are currently closed.